On the desktop, Ubuntu has been widely adopted by small and large enterprises because of its ease of use, speed, apps, security model, management tools and low cost of ownership. Faced with an expensive new contract from Microsoft, Bukwang Pharma switched 400 PCs to Ubuntu and saved $300,000 on annual licensing alone. Ubuntu Advantage is the professional support package from the experts at Canonical. Get 24x7 support with access to engineers with first-hand experience of your issues. 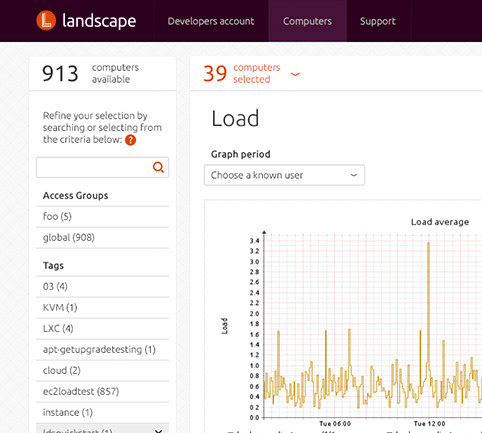 It also includes Landscape, the Ubuntu systems management tool, for monitoring, managing, patching and compliance reporting on all your Ubuntu desktops. Ubuntu runs on the world’s best hardware from partners such as Dell, HP and Lenovo. And with nearly 90% of PCs shipped by the major PC companies already certified to work with Ubuntu, it is easy to find hardware that will work for your business. I would also like to receive other updates from Canonical by email.